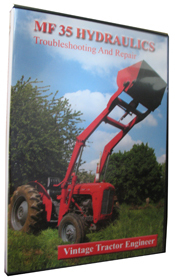 This article comes about due to a question that came in from an owner of a Massey Ferguson 135 tractor. When the tractor engine is first started the oil pressure is normal on the gauge and everything seems to be fine. However, as the engine warms up you notice a drop in the oil pressure into the low range. This is a common occurance so we need to understand what is happening. Basically as the oil warms up it becomes less viscous (thinner and more runny) and it is therefore able to leak and flow (past anything it shouldn’t) more easily. Symptons like this would usually be associated with either wear in the oil pump or wear in the main bearings, big end bearings and little end bearings. So quite simply it could be the oil pump that is not pumping the oil as efficiently as it should because the oil pump has becoming worn. Hence it cannot maintain the oil pressure with the warm oil. Which of the above will it be? They can be assessed when the engine is stripped down. There are published tolerances for all the components of an engine. However, if the engine hasn’t been refurbished in any way for many many years (or hours), then it is likely that all of these components will be worn. Engines can run like this for a long time. However, if the oil pressure is low then it may be that it isn’t reaching certain parts of the engine in the volumes that it should. 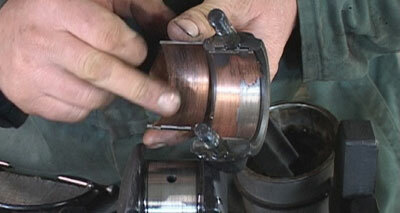 Imagine a part of the engine that needs a certain pressure of oil in order for the oil to flow there. 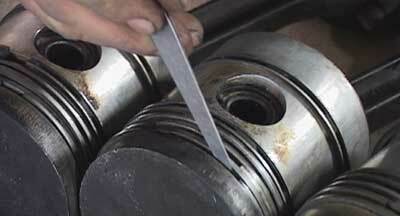 If the pressure isn’t high enough then that component may not get any or sufficient oil to lubricate it. The dramatic consequences tend to come if the bearings continue to wear (which they will). Eventually the ‘soft’ material will wear completely away, through the white metal and onto the base metal of the bearing. This base (hard) metal of the bearing does not slide against the crank shaft and hence the engine can then seize (and I don’t mean just rusting together when the engine is stood, but rather when the engine is running). So, you can probably get a way with the low oil pressure for some time. But then, all of a sudden, the consequences will be catastrophic. If you have the time and money then the best thing is to investigate the cause, which will essentially be a full strip down of the engine. The vast majority of the occasions when this is done, you will probably find that most of the wearing components of the engine will need refurbishing. For example the valves, valve stems, valve seats, maybe the camshaft, pistons, piston rings, cylinder liners. 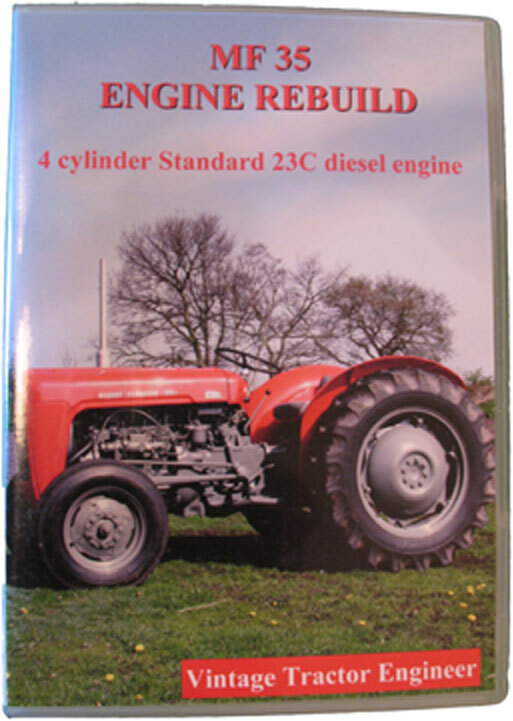 If it is a job that you intend to do yourself, and need any guidance, then we do have a DVD for the Perkins 3A.152 engine. This DVD was filmed on an indirect injection engine from a MF35, but the direct injection engine in the 135 is basically very very similar, with only a few differences.